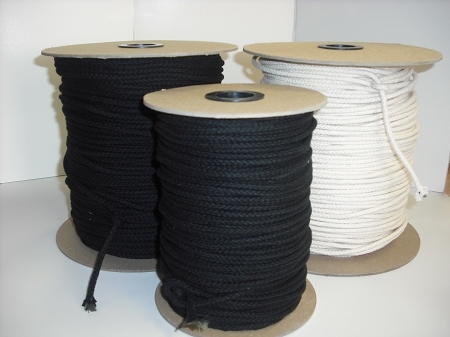 Our matte black premium braided tie line has a braided jacket of quality cotton yarns with an all-synthetic core for low stretch and durability. Firmly braided to reduce fraying and a soft feel that is easy on the Hands. Not recommended for use where risk of injury to personnel or risk of damage to property is involved. Not for Overhead Lifting. Also available in white for an additional charge.